Ergonomically designed in solid brushed metal. 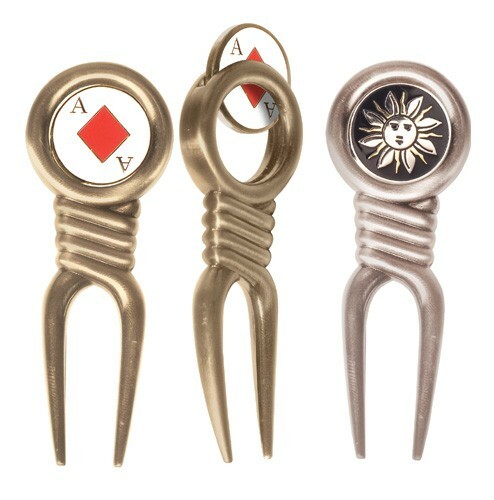 Your magnetic enamel ball marker channels into the main body of the tool, and is held securely with high caliber magnets. 3.125" x 1.125" x .250"
• Production time: 4 weeks custom enamel, 2 weeks color dome. • Normal Packaging: Draw String Pouch.